Email communication is very important in today's modern applications and there are many ways to send emails through applications to users. I wrote a series of articles on email sending in ASP.NET which ia very successful series in terms of views and downloads. 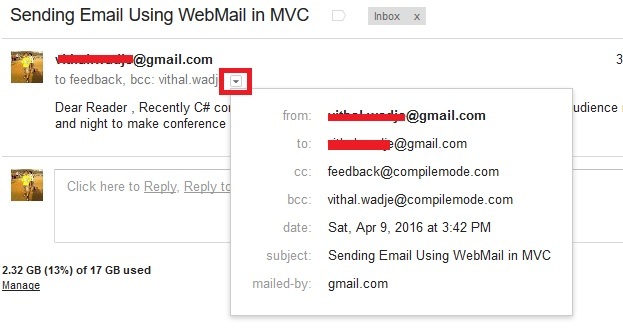 Now in this article we will learn how to send emails directly from razor view in ASP.NET MVC with the help of WebMail helper class . 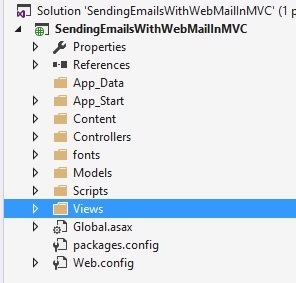 So let's learn step by step so beginners can also learn how to send emails in ASP.NET MVC. What is WebMail Helper Class? 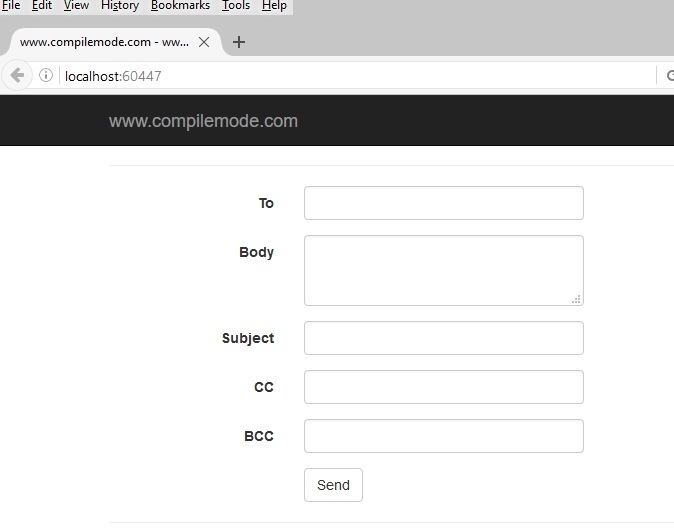 WebMail is the static class which is used to send emails directly from Razor view as well controller class in ASP.NET MVC . Email id of any provider such as Gmail, Yahoo or your organization to send emails. Now let's create a simple MVC application to demonstrate this. Step 2: Create Model Class. It is not mandatory that Model class should be in Model folder, it is just for better readability you can create this class anywhere in the solution explorer. This can be done by creating different folder names or without folder name or in a separate class library. 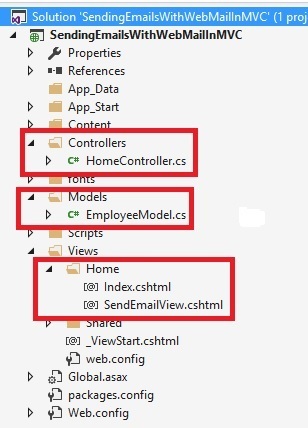 Step 4 : Creating strongly typed view named Index using employee model and SendEmailView . 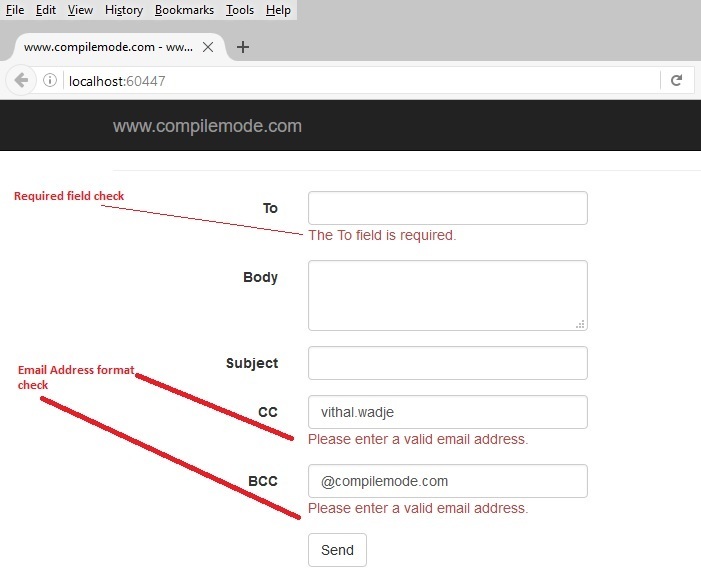 The preceding view is used to Get the Input email details from users , Now create the view named SendEmailView to configure the emails using WebMail class. WebMail.From = FromOrSenderEmail; //email sender email address. Problem while sending email, please check gmail server details. 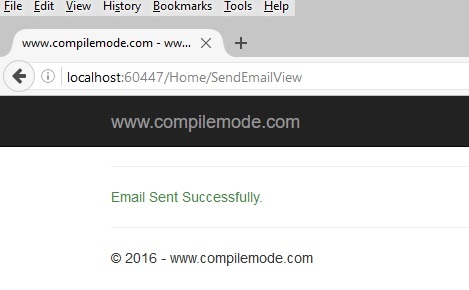 Now we have done all coding to send emails using WebMail class . Step 5 : Now run the application. The preceding view is used to send the emails , now click on send button without entering To email address and invalid cc and Bcc email address it throws the following errors . 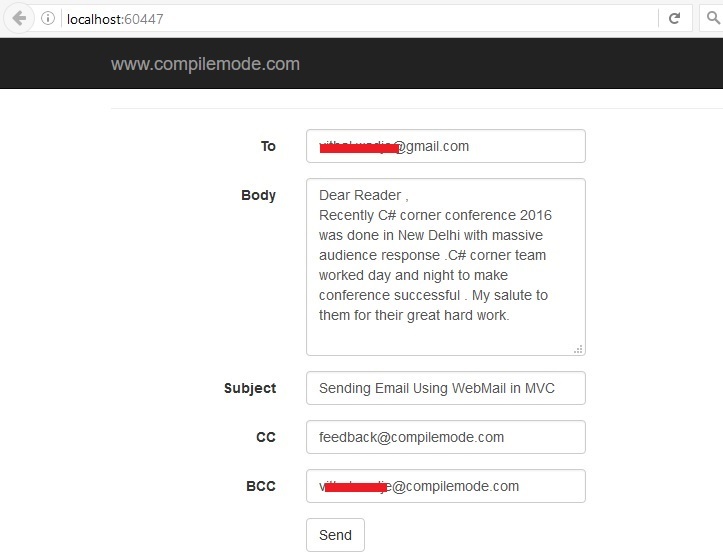 I hope from all the preceding examples we have learned how to send email using WebMail helper class in ASP.NET MVC Razor view . You need an active internet connection to send the email . 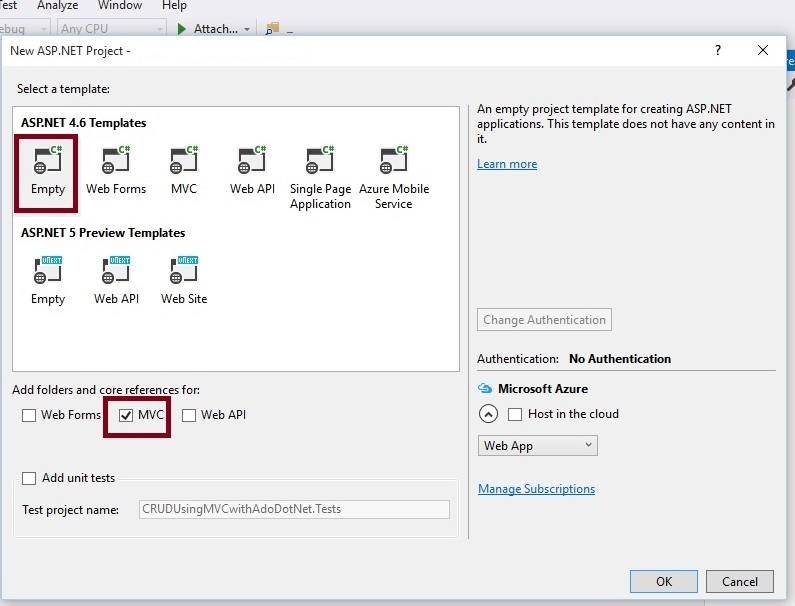 Creating an ASP.NET MVC Application. CRUD Operations In ASP.NET MVC 5 Using ADO.NET. 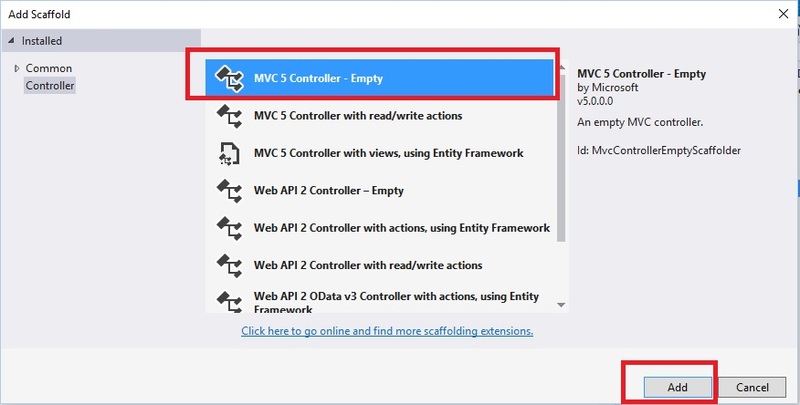 Read Strongly Typed Control Values Using jQuery In ASP.NET MVC .